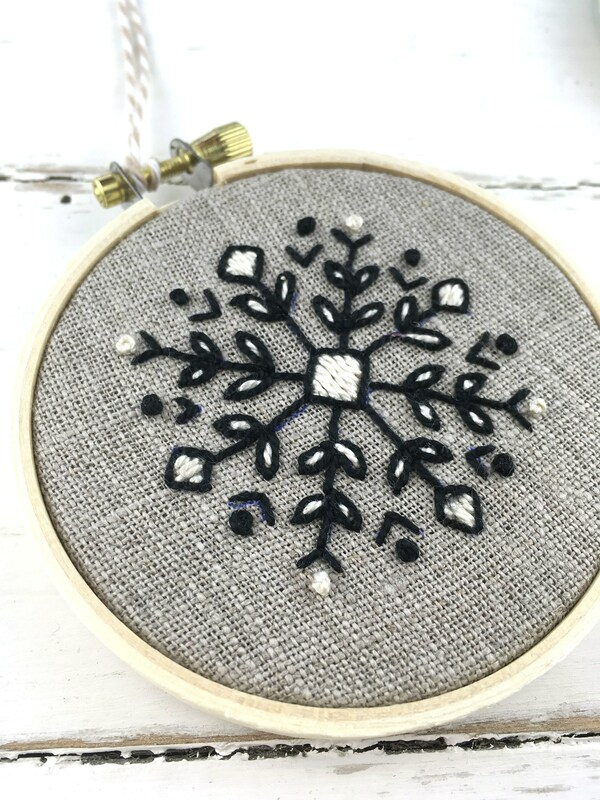 A Christmas ornament you can embroider - the perfect little holiday project for decor or gifting! 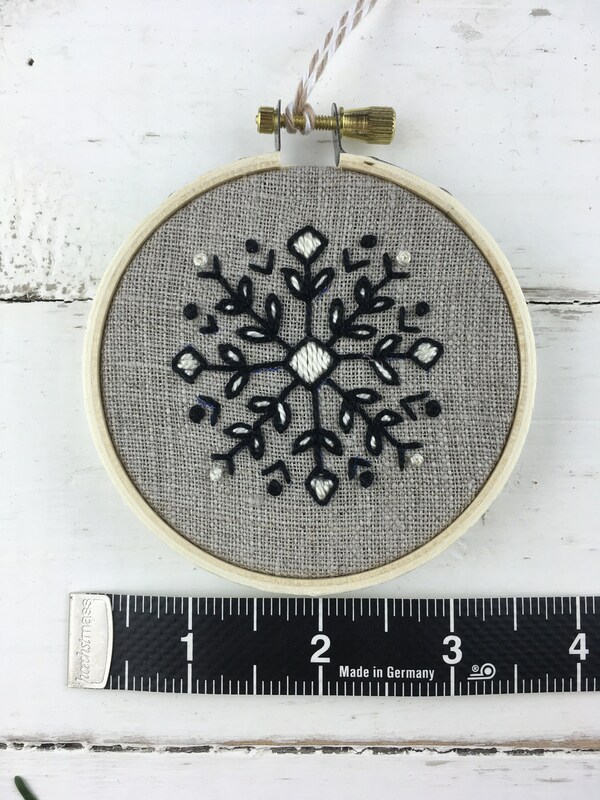 This sweet embroidery kit contains everything you need, and can be completed quickly for a lovely keepsake for you or your loved ones. Choose from navy, pink, aqua, natural, or grey. 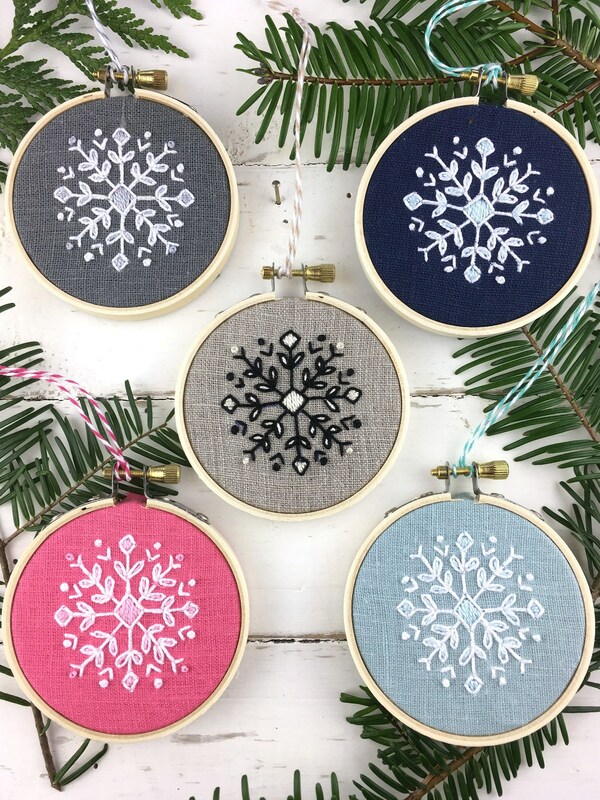 Printed linen makes this embroidery kit easy and enjoyable to complete. 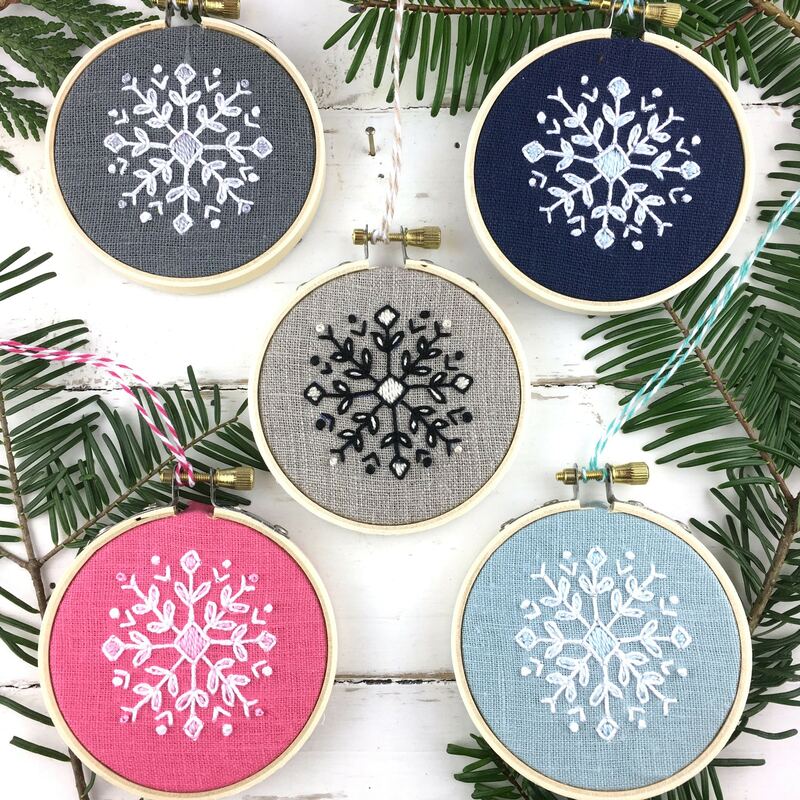 Also included is a piece of matching linen to back the ornament! 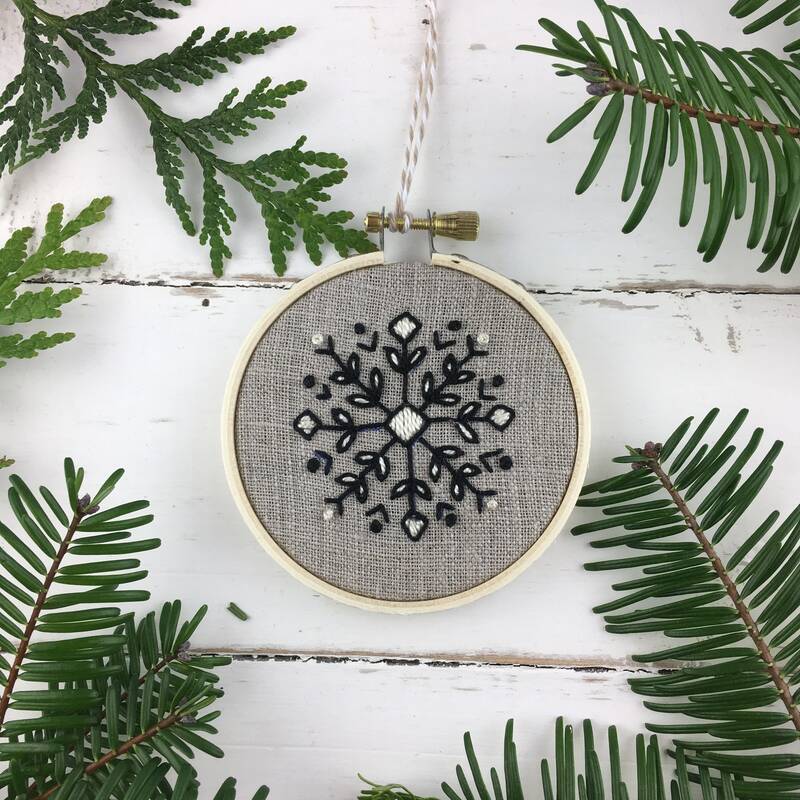 The hoop measures a little more than 3" wide, making it truly tiny and ideal for displaying on a tree! 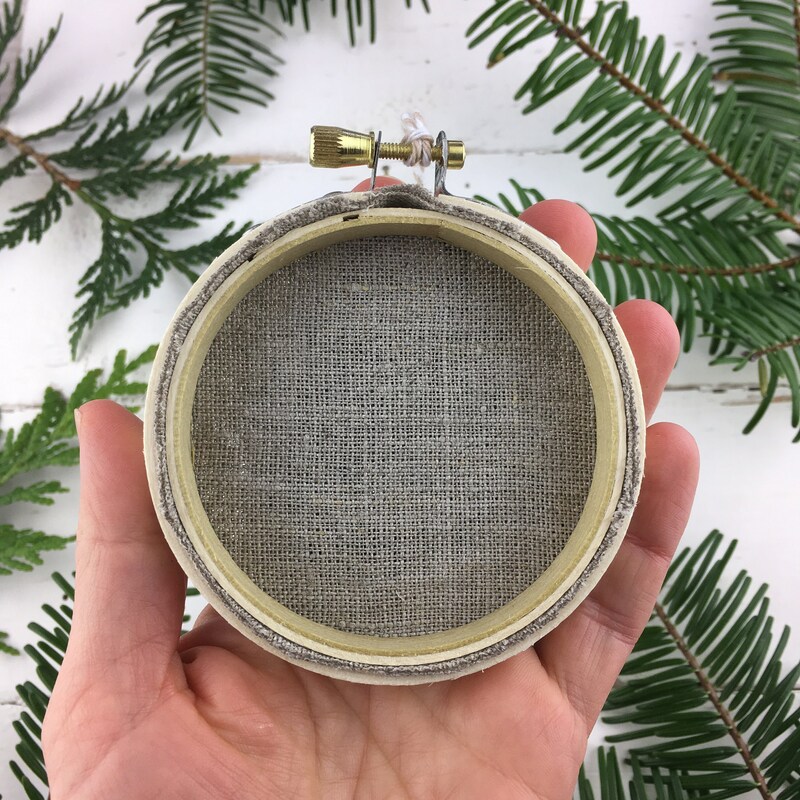 You can easily personalize the ornament by writing on the linen backing with a fine-tipped marker or pen to add a name or a date. 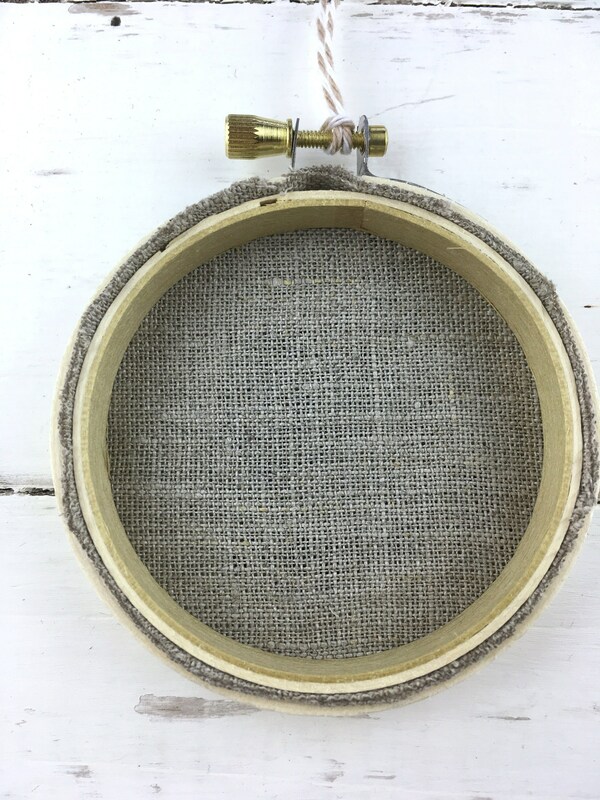 This listing is for ONE embroidery kit. This kit is easily completed within 1-2 hours. Questions? Please don't hesitate to contact me!